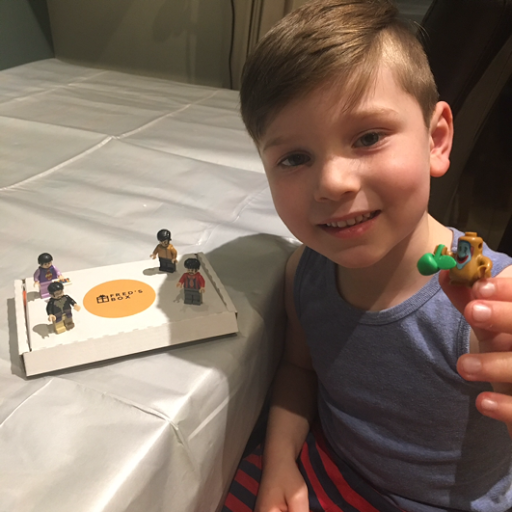 Fred's box is a fantastic new kids Minifigures subscription box aimed at children 4-12. From as little as £4.85 a box of surprise mini figures can be delivered through your letterbox! 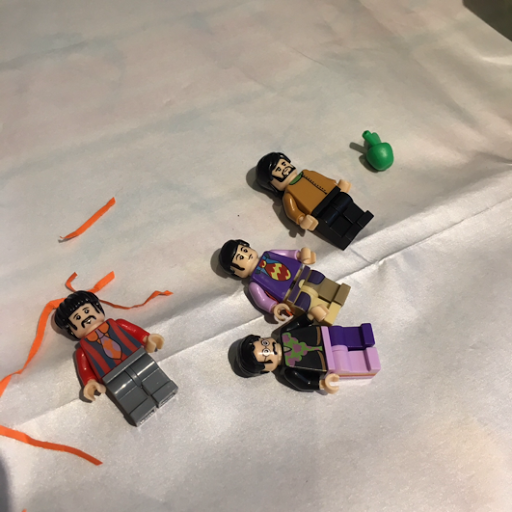 We were sent a 'Standard' box to review which retails at £8.20 for a one-off delivery and cheaper options if you sign up for longer, T loved the fact that he recieved a package addressed to him which contained mini figures he could use with his 'leading brand 😉' blocks! 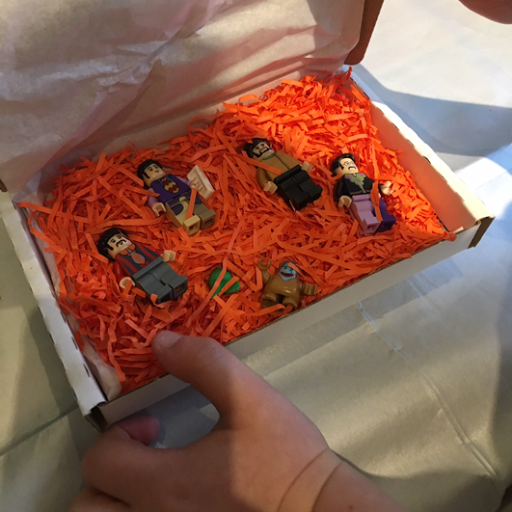 The standard box contains 4 figures, other box options are available from 2 figures upwards and there's even a box especially for twins! Each box is packed out with shredded paper to protect the Minifigures and delivery is free of charge for UK. If you fancy getting hold of a standard box yourself, enter our giveaway below, please be sure to read the terms and conditions before entering! 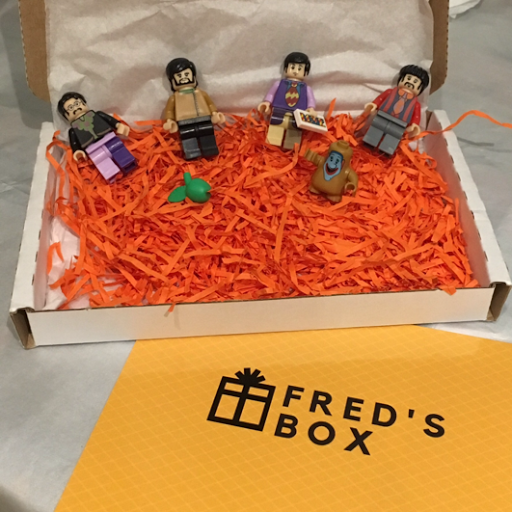 Disclaimer: We were sent our Fred's Box in exchange for our honest review, all opinions are our own. Fred's Box will be supplying the giveaway prize directly.